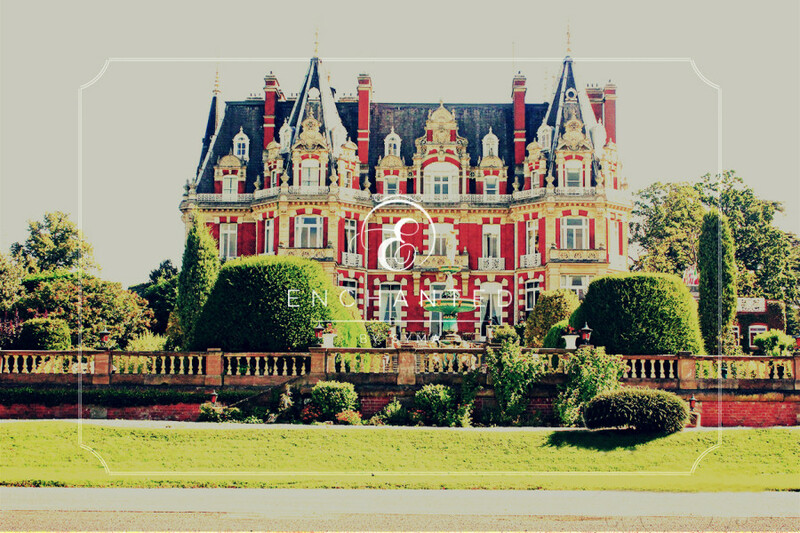 Iman & Sandys magical wedding at Chateau Impney, Droitwich. Close your eyes, make a wish, open your eyes, live the dream. 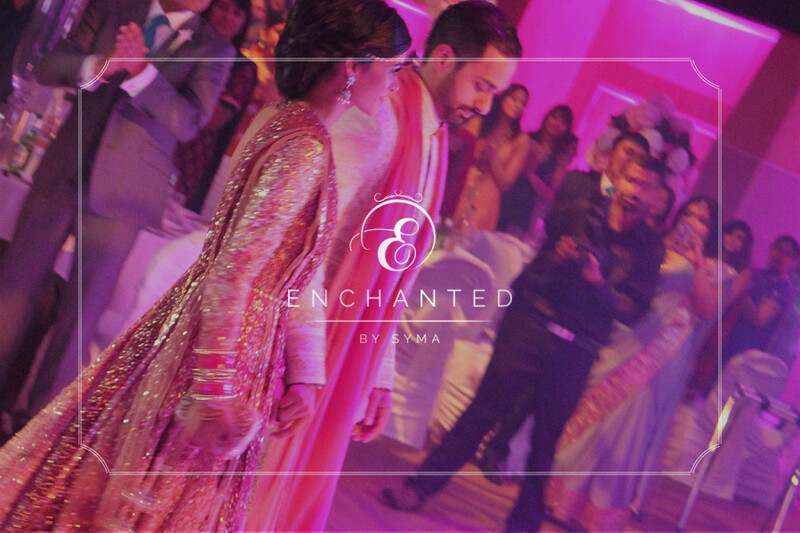 These words are no over exaggeration to exactly how this sensational wedding took place. 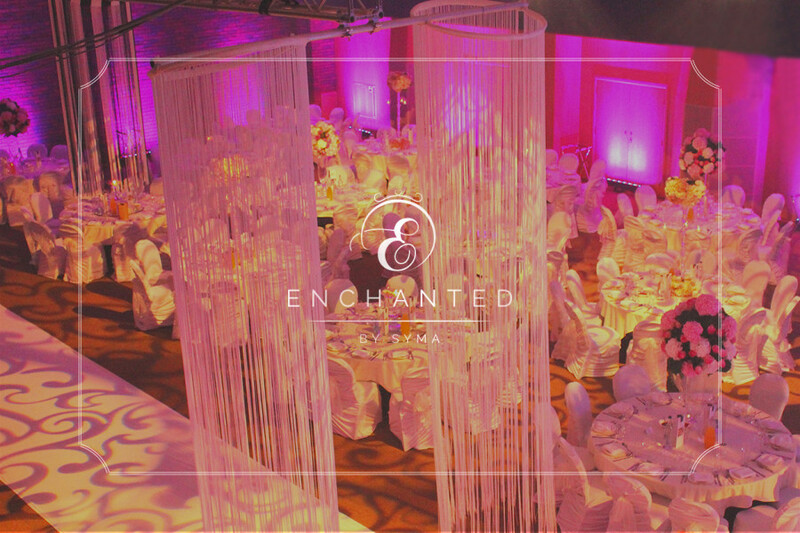 The entrance of the room was graced with 6 wonderful string chandeliers hanging from the ceiling; the floor had an amazing brocade floral design lighting & not forgetting the amazing trio chandeliers in the center provided by Delsonic. Moving on the room was filled with 3 gorgeous styles of centerpieces from large fresh flower arrangements, our magnificent ‘Topsy- Turvy glass floral centerpiece & stunning glass urns with floating candles & Gerberas. 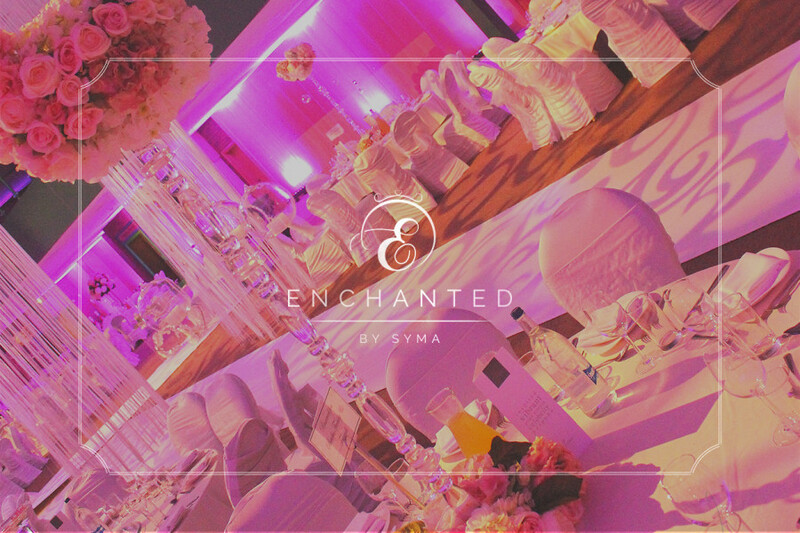 To complete the look & center stage for our bride & groom, we left no limits in creating an exceptional floral arch way with our bespoke ice top table. 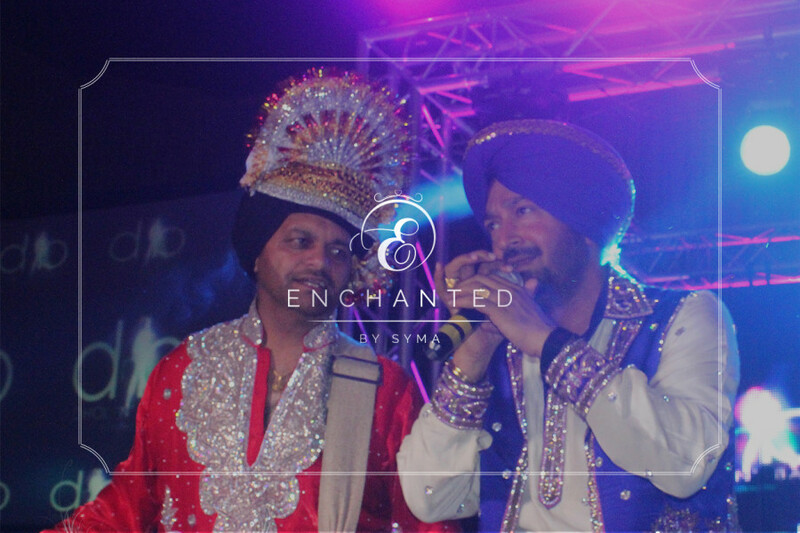 The night was filled with tasty cuisine catered by 5 Rivers, lots of exciting entertainment provided by D n B DJ Vix, dhol players & the king of Bhangra Malkit Singh sure had all the guests up on their feet. 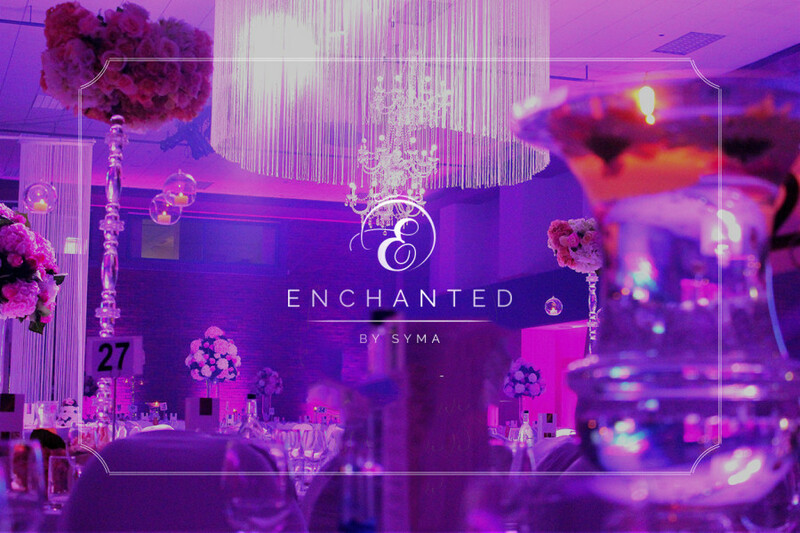 It has been such a pleasure for Team Enchanted to work on this wedding with such professional & friendly suppliers & to meet clients such as Iman & Sandy. We wish our beautiful couple all the best for the future.